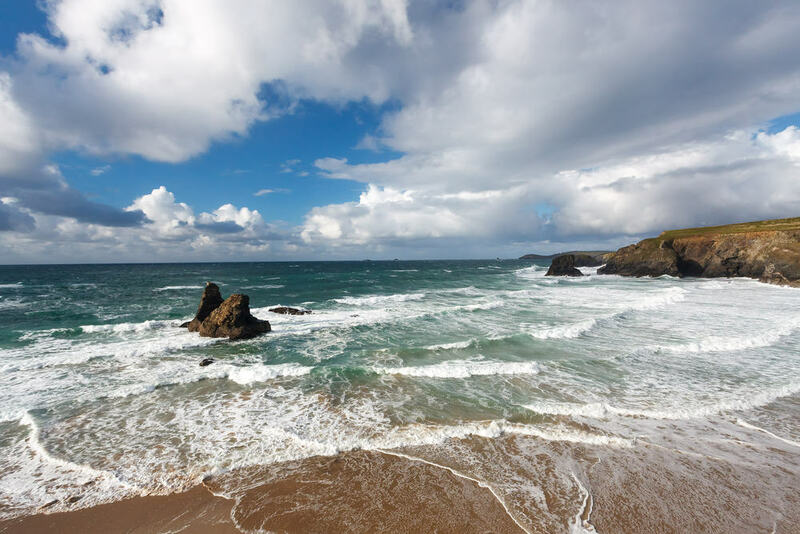 Cornwall proved to be the perfect location when it came to filming Winston Graham’s Poldark novels, which begin in the late 1700s, because much of the coastline has remained undeveloped. Porthcothan, a tiny bay between Newquay and Padstow, is typical of much of this area. There’s a good sandy beach which becomes much larger at low tide, backed by grassy dunes and cliffs. Although the waves can – like the rest of the north Cornish coast – be impressively grand here, they are in the main accessible to inexperienced surfers. In the BBC’s 2015 retelling of the Poldark stories, Porthcothan doubles as Nampara Cove, close to Ross Poldark’s home. Stunning views out to sea from the clifftops. 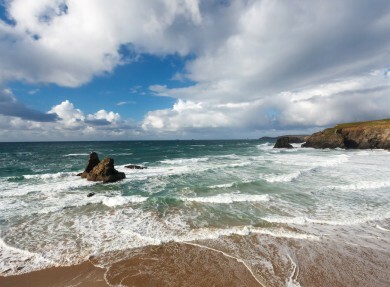 This echoes the romantic element of the Poldark stories – dramatic scenery with a sense of danger. If you needed reminding of the power of Mother Nature, look no further. 30ft waves and 70mph winds during the storms of 2014 destroyed an arch on the famous rock formation known as The Anchor or Jan Leverton’s Rock.